It’s official! Award Winning Wharfe Valley Farm’s Cold Pressed Rapeseed Oils have ‘Great Taste’! It’s official! Our Wharfe Valley Farm Rapeseed Oils are award winning. “GREAT TASTE 2017 AWARDS STAR RATING” – that’s the official verdict for three of our Wharfe Valley Farm Rapeseed Oils at Great Taste 2017, the world’s largest and most trusted awards, organised by the Guild of Fine Food and Drink. To celebrate we are offering FREE DELIVERY on orders for 3 x 250ml oils in OCTOBER 2017. *Full details below. Top marks for rapeseed oil that is grown, pressed and bottled in Yorkshire. Considering the quality of ingredients used, the judging panel agreed that the price for a bottle is reasonable value. An exotic twist on rapeseed oil. The judging panel agreed that it had a nice flavour profile to sweet bakes, and was also ideal for stir frys as an alternative to coconut oil. Judges pleasantly surprised at the mildness of the chilli profile. Clean grassiness to the oil. We found a rich and flavourful oil with a well judged chilli infusion. A good product. Good golden colour, the rapeseed is very vegetative on the nose, the chilli heat comes through but is not harsh. Lovely notes of lemon on the nose and in the mouth. The flavours balance well making a very palatable product. The lemon comes through distinctly while remaining balanced with the flavour of the oil. There is just a hint of pepperiness on the finish. Attractive ‘holiday’ colour and buttery mouthfeel. Lovely bright looking oil. Well blended mix of oils with neither flavours dominating and a clean finish. A good product for those who enjoy the use of coconut oil but find it can be too harsh. A good aroma of coconut followed by the back note of rapeseed, clean and both come through very well. As a finishing oil this would be good in a salad or in a dressing to add a touch of nuttiness. 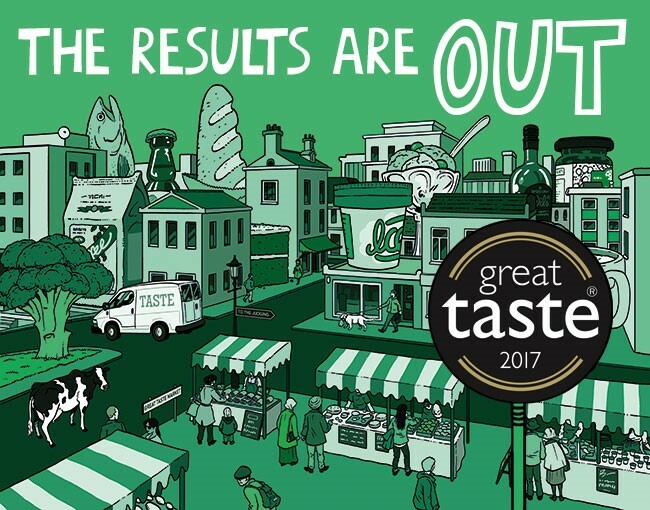 To find out more click here to link to Great Taste 2017 website. To celebrate our achievement at Great Taste 2017 we are offering ‘FREE DELIVERY’ for orders of any 3 x 250ml Wharfe Valley Farm’s Cold Pressed Rapeseed Oils placed in October 2017*, from our online shop at www.wharfevalleyfarms.co.uk. Published on October 10, 2017 by Hayley.